Now considered a contemporary classic, Airships was honored by Esquire magazine with the Arnold Gingrich Short Fiction Award. The twenty stories in this collection are a fresh, exuberant celebration of the new American South a land of high school band contests, where good old boys from Vicksurg are reunited in Vietnam and petty nostalgia and the constant pain of disappointed love prevail. 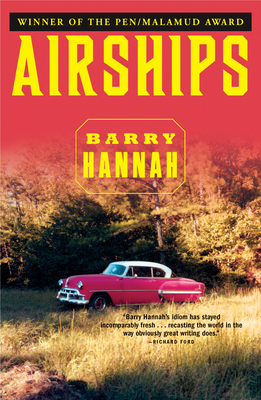 Airships is a striking demonstration of Barry Hannah's mature and original talent.